Hello, I'm new here but not to these cars. I have had at least 20 1996 - 2002 Camaro SS cars over the years. I now have a 1996 White SS # 1537 I'm building up a bit with my son. My first one was a bright teal green black hard top M6 car I ordered new. I believe that went to Canada after I sold it. Now it's raced and looks to be a record holder on this site. I look to build a 396 with AFR heads. lets see what we can do this time around?? Welcome to z28.com Ron, good to have another member. If you have the time, keep us updated on how the projects are going, we love fbodys and anything related to them. Hello Ron and welcome to the forum! Glad to have you here. You'll find some interesting info on this forum. If you haven't found what you're looking for, feel free to post a question. If you have knowledge that someone else is looking for, feel free to share! Welcome! I look forward to seeing your pics and success! Well I have some pictures of what we have in the mix. This new 396 will be under the hood of the 1996 SS white hard top. Last edited by 1 slow ss; 04-14-2018 at 08:11 PM. I wonder what this car could run with a 11.5:1 396 that has competition 195 AFR heads and a comp cams 292 duration cam at 575 lift?? The car is a M6 and will have 3.73 gears at least. 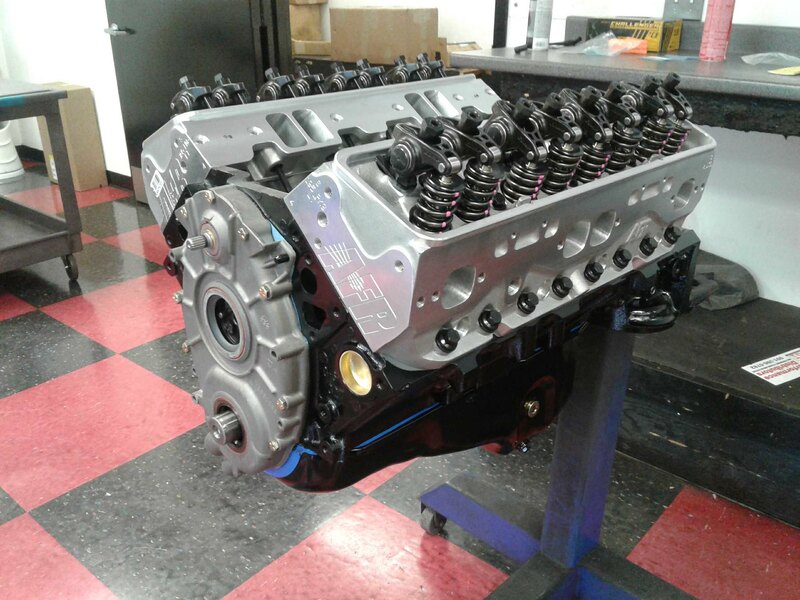 I also will run the torque head 24x ignition set up and the LS1 computer. A lot of factors still play in to what strip time will be. With perfect weather, a perfect launch and good traction, I don't see why sub 11 would be an issue.